If you walk into the woods of East Greenwich, you would hear the shouts and laughter of children from the forest. Where is the sound coming from? A few more steps later, you would encounter not Hansel and Gretel's House, but surprisingly, a raw-looking concrete, modern building which would not be out of place in an urban setting. Its “straight-forward geometry, executed in warm, red-brown brick framed by textured ‘form board’ concrete” projects a peculiar impression of veiled modernism in nature. 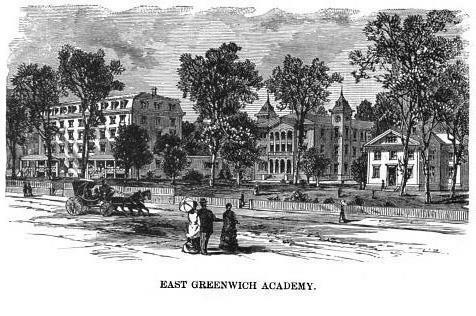 The building is East Greenwich High School. 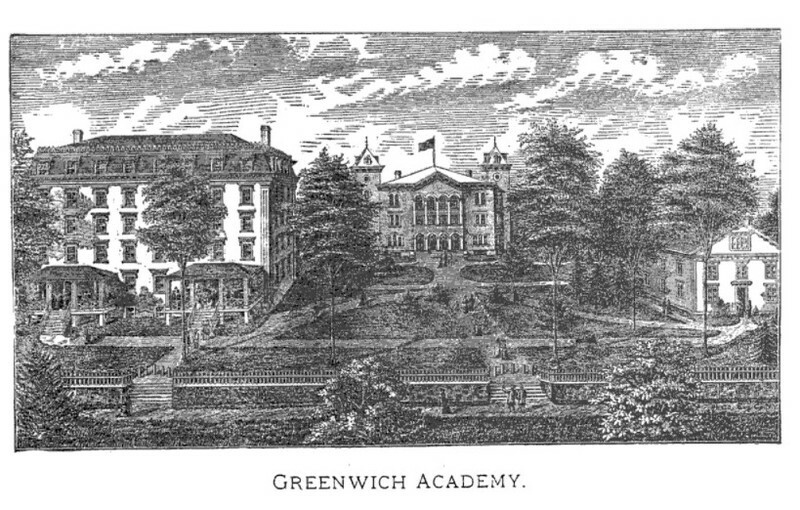 The school was originally Kent Academy but later became East Greenwich Academy--a private Methodist boarding school. The building was transformed into a public school in 1942-1943 when its stockholders handed it over to the town of East Greenwich because of plummeting enrollment in the wake of the Great Depression and World War II. 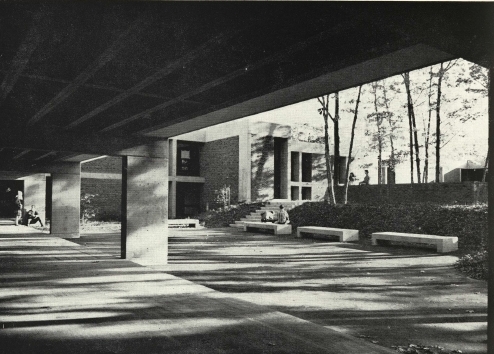 It was moved to the current location in 1967 from 100 Cedar Avenue in the course of a major transformation by The Architects Collaborative (TAC), a leading architecture firm at the time based in Boston, MA. Most if not all of the original buildings at the site were demolished in the 1960s for the construction of St. Luke’s Episcopal Church. TAC, as its name indicates, consisted of eight talented architects including Walter Gropius--a founder of the famous Bauhaus school of architecture in Germany. 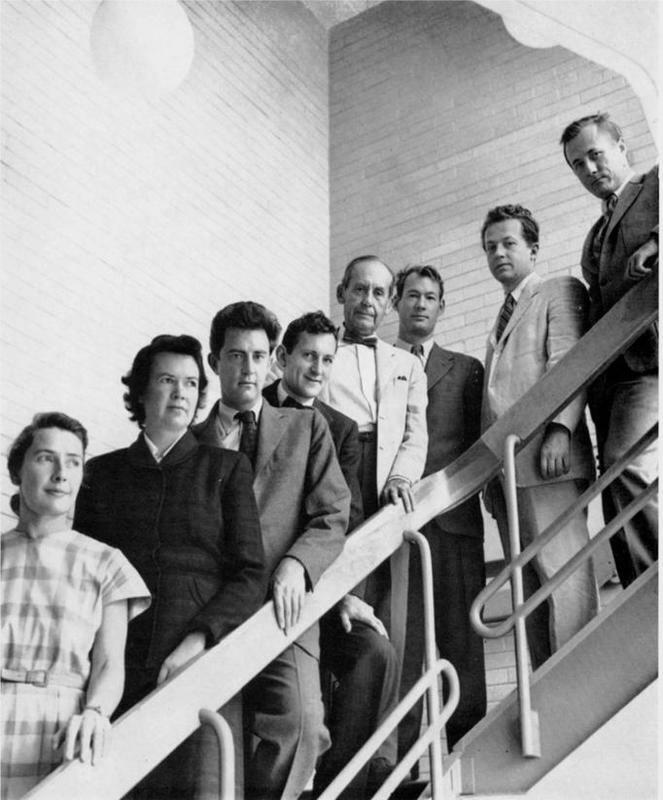 In addition to having Gropius on staff, the firm had the unique privilege of having two women architects as founding members, Sarah (“Sally”) P. Harkness and Jean B. Fletcher. Neither female architects nor architectural collaboratives are unusual these days. However, TAC's team-based approach was distinctively progressive considering the fact that individualism was the prevailing ideology in the profession at the time. Its inclusion of women and the fact that they were part of the leadership attest to the firm's forward-looking nature. 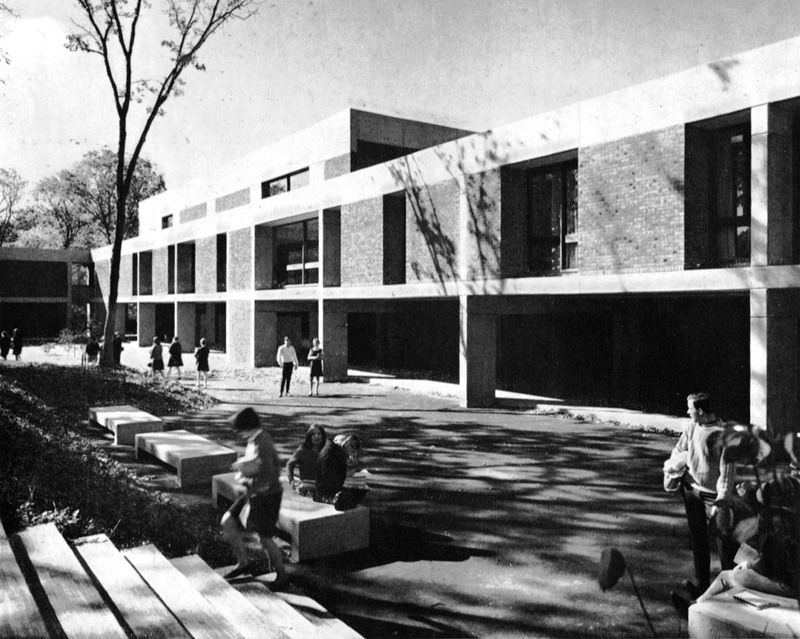 Despite East Greenwich High school's manufactured materials such as concrete and brick, the building “complements the landscape’s carefully preserved random quality” and successfully achieved an ideal integration of natural and manmade form. After a series of renovations in 1967, 2004, 2010, and 2012, the building is finally filled with the energy and dynamism of children again. 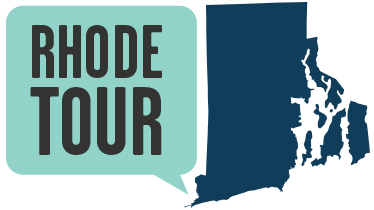 Today, according to Newsweek's 2016 ranking of the top 500 schools among nearly 25,000 public high schools in America, East Greenwich High School and Classical High School are the top two high schools in Rhode Island. He Ri Kwon, “A Dash of Modernism In the Middle of the Woods,” Rhode Tour, accessed April 21, 2019, http://rhodetour.org/items/show/266. Greene, Daniel Howland. "History of the Town of East Greenwich and Adjacent Territory: From 1677 to 1877" J. A. & R. A. Reop, Printers and Publisher, 1877. Harkness, Sarah (Sally) Pillsbury (1914-2013). The Sally Harkness Collection, Frances Loeb Library, Special Collection, Harvard University.